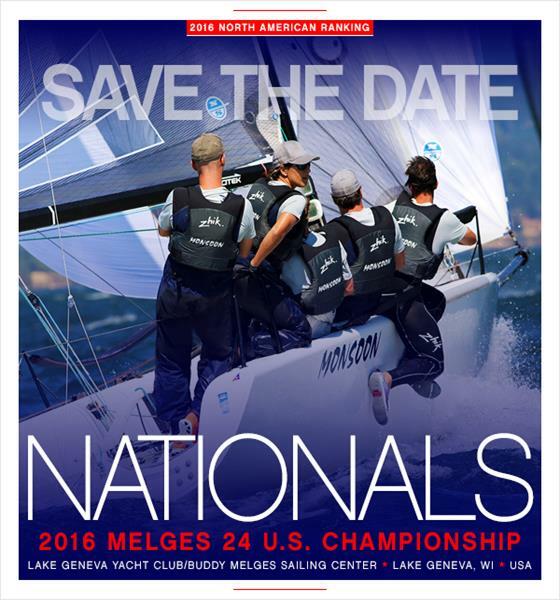 ON-THE-ROAD-TO-WORLDS: Be sure to make a pit-stop in Lake Geneva and race the 2016 Melges 24 U.S. National Championship, hosted by the Lake Geneva Yacht Club/Buddy Melges Sailing Center in Fontana, Wisconsin. Save the new and super official dates. BE THERE! Home of the Melges 24!